After Hurricane Katrina devasted New Orleans’s infrastructure, nonprofit housing builders and community development corporations came together to form the Greater New Orleans Housing Alliance (GNOHA) to collaborate in working to rebuild the housing stock. HousingNOLA grew out of our work at GNOHA. It is a 10-year partnership between community leaders and dozens of public, private, and nonprofit organizations working to solve the city’s affordable housing crisis. This group crafted the city’s first-ever 10-year Strategy and Implementation Plan. We at HousingNOLA support this plan by continuing to provide opportunities for local leaders to listen to the community, the community to educate policymakers on their housing needs, and bring diverse groups of people together to address the changes and challenges to affordable housing throughout New Orleans. Together, GNOHA and HousingNOLA launched the #PutHousingFirst campaign in 2017 to connect residents as partners in efforts to advance affordable housing policies. The campaign facilitates resident advocacy, skill building, and has secured several major policy victories since its launch. Specifically, advocacy efforts led to Governor Edwards vetoing a bill that would have prevented New Orleans from implementing its Smart Housing Mix Ordinance, a mandatory inclusionary zoning policy, and would revise other voluntary programs. #PutHousingFirst has also impacted local and statewide elections making affordable housing a campaign issue for the first time. This includes its launch of HousingLOUISIANA, a statewide networking alliance linking nine Regional Housing Planning Areas across the state, which engages voters around housing issues to hold policymakers accountable. Finally, the most recent #PutHousingFirst win came on Thursday, March 28, when the New Orleans City Council approved Ordinance 32,573. This approval was the next step to ensuring the Smart Housing Mix is implemented and a step towards putting housing first in New Orleans. GNOHA and HousingNOLA’s #PutHousingFirst campaign was nominated for this year’s NLIHC Organizing Awards. Check out previous years’ blogs from Organizing Award winners and nominees. Since being designated as a Financially At Risk Public Housing Authority, we at Lakeland Housing Authority (LHA) are turning things around and pushing towards our mission to provide quality, affordable housing and self-sufficiency opportunities in Lakeland and Polk County, Florida. We not only completed a Corrective Action Plan and Recovery Plan with HUD in 2012 and 2013 respectively, but we have also received four consecutive years of High Performer designations for our Public Housing and Section 8 programs by HUD from 2014 to 2017 and were named the 2018 Housing Authority of the Year for the state of Florida. Facing the stigma of being classified as a financially troubled agency forced us to get in front of many challenges and difficult decisions. We began shifting our focus to solutions and learning how and when to spend the few funds available to continue moving development projects forward. Not to mention, the need in our region is great; there are only three affordable housing units available for every ten families that need it. We have been actively involved in the affordable housing industry seeking ways to create additional affordable rental opportunities for low-income families. Because of our negotiations, a vacant lot of nearly 20 years next to an LHA site was turned into a Circle K and opened in 2017. It features a hot kitchen and has provided employment opportunities, scholarships to a neighborhood school, and a local job fair. In 2018, our newest development, the Micro-Cottages at Williamstown, opened. It is an innovative community design of 48 tiny homes for the elderly with a preference given to veterans and provides health care services on site thanks to a community partner. Finally, Youth-Build Lakeland is a program we’ve facilitated for 10 consecutive years offering education and job training opportunities. The LHA staff has worked very hard over the past few years to turn the agency around. While we celebrate these successes, we still face a severe shortage of affordable housing in our area. We continue to seek ways to create additional affordable rental opportunities for low-income people in our communities. Among organizations who were nominated for this year’s NLIHC Organizing Awards, some were nominated for best practices and services in their community. Lakeland Housing Authority was among these. Check out previous years’ blogs from Organizing Award winners and nominees. In 2018, Mutual Housing California organizers took on a year-long voter participation effort with residents of our affordable housing communities as part of a larger movement to secure more local and statewide funding for affordable housing through 2018 ballot measures. Working alongside organizers, activist residents helped lay the groundwork for a potential history-changing affordable housing movement. Our voter participation effort led to a 14 percent increase in voter registration from 669 to 700 residents. Newly energized, many of these residents hit the streets and worked the phones to make over 44,000 voter contacts in the primary and general elections. In addition, over 100 of our residents completed leadership trainings in 2018 to further support advocacy efforts for affordable housing and other issues such as job opportunities, criminal justice and education. This combined with other movements across the state resulted in monumental achievements. Two of California’s three major statewide housing-related ballot measures won, producing $6 billion in new funding for affordable housing. These were the first housing bonds approved by California voters in more than a decade. An unprecedented city measure in Sacramento also moved forward that will generate $50 million in new revenues every year for affordable housing, job development and other programs, to be determined by the City Council, with input from a newly-created community advisory commission. Passage of the state and local housing measures in 2018 only represent a down payment in terms of solving our state and our region’s massive man-made housing shortage. There are approximately 7.5 million people living in poverty in California and a shortage of nearly 1.5 million affordable homes and apartments. In Sacramento and Yolo counties, there are approximately 284,000 people living in poverty. The success we’ve seen in the past year only motivates us to dig deeper, organize better, and fight harder. Our organizing efforts supported these wins and will help ensure that low-income people have a voice when the housing funds are distributed. Mutual Housing California is the winner of the 2019 State and Local Organizing Award. The National Low Income Housing Coalition’s Organizing Awards recognize outstanding achievement in organizing activities that further NLIHC’s mission: Achieving socially just public policy that ensures people with the lowest incomes in the United States have affordable and decent homes. Check out previous years’ blogs from Organizing Award winners and nominees. At Texas Housers, we support low-income Texans’ efforts to achieve the American dream of a decent, affordable home in a quality neighborhood. We began 2018 by hiring an organizer for our new initiative called “12 Moms.” Our goal was to recruit and work alongside 12 women with children living in subsidized housing to speak out about the conditions of federally-subsidized housing and to tell their stories to promote the importance of housing assistance. Over the course of the year, this goal was greatly exceeded. 12 Moms is now an active group of 120 tenants living in subsidized housing advocating for improved quality of living in subsidized properties. The initiative focused on two apartment complexes where we knew conditions were particularly dangerous and posed significant risk to tenants. These conditions include mold, decaying walls, and pests that negatively affect residents’ health. Federally-subsidized homes also tend to be located in high-crime neighborhoods that are segregated away from decent schools or safe places to play. 12 Moms educates women with children about how they can advocate for change. Our goal is to draw attention to these issues and demand that HUD and the City of Houston treat people fairly and respect their health and well-being enough to support safe, decent, and sanitary homes for low-income people across the city. Though 12 Moms is a local effort, it may also have a national impact. Tenants have testified at city council meetings, met with HUD officials, and several tenants are plaintiffs in two lawsuits against the Department of Housing and Urban Development (HUD) regarding substandard living conditions. We will continue to invest in tenant leaders and work alongside them to make their voices heard in promoting a more equitable Houston by demanding safe and decent subsidized housing. Texas Housers is the winner of the 2019 Resident Organizing Award. 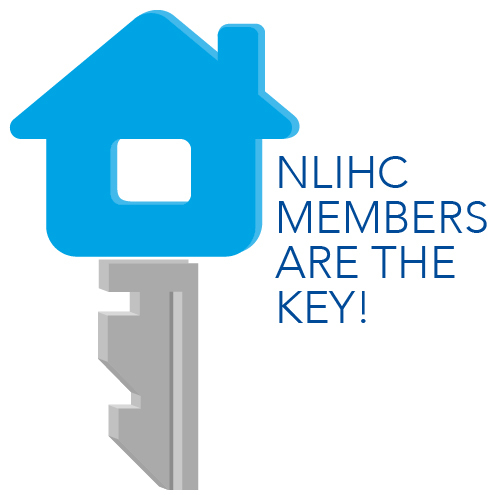 The National Low Income Housing Coalition’s Organizing Awards recognize outstanding achievement in organizing activities that further NLIHC’s mission: Achieving socially just public policy that ensures people with the lowest incomes in the United States have affordable and decent homes. Check out previous years’ blogs from Organizing Award winners and nominees.